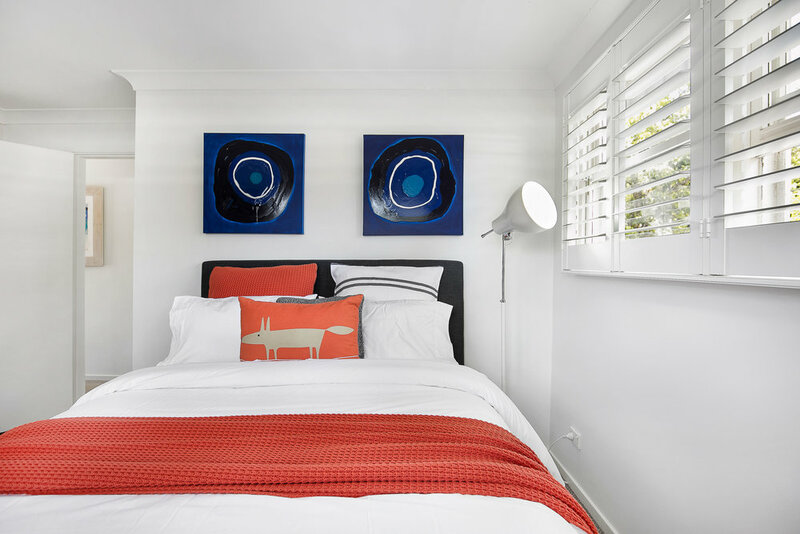 Flaunting a magical harbourside position just a stone’s throw from picturesque Parsley Bay, Parsley Bay House is tailor-made for families wanting to immerse themselves in the beauty and magnificence of Sydney Harbour. 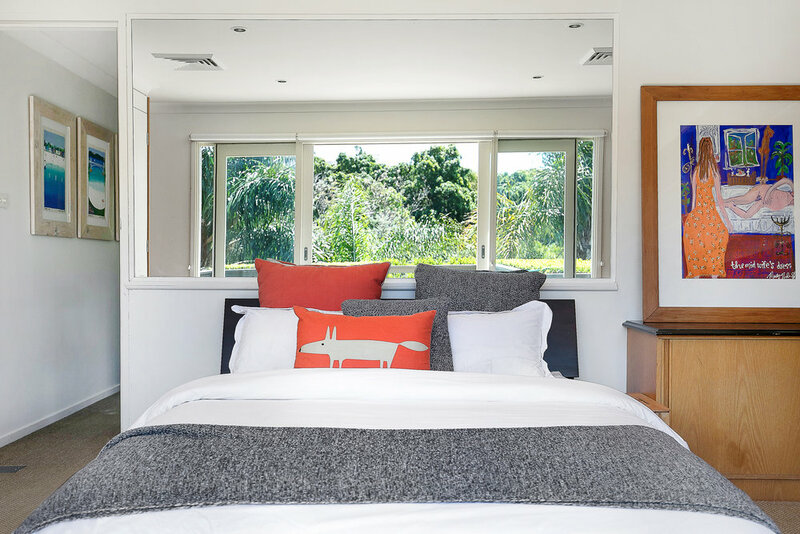 With gracefully presented interiors, a pool, and a raft of alfresco dining spaces, Parsley Bay House is spacious and peppered with mod cons, meaning the whole family can relax and unwind in style. 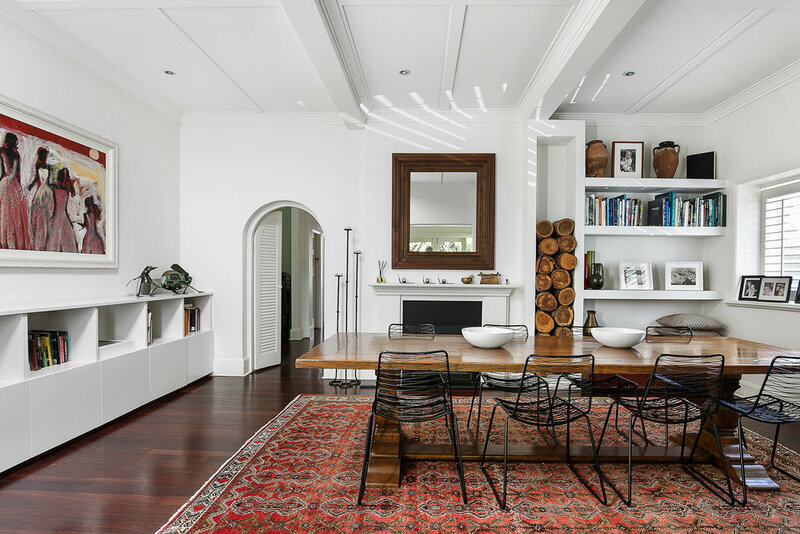 You’ll be spoilt for choice by Parsley Bay House’s collection of cool and contemporary spaces that have been elegantly curated for rest and repose. With a decked terrace and lawn, a large outdoor pool and an elevated balcony, there is a plethora of seating spots for all to unfurl and unwind at the end of the day. 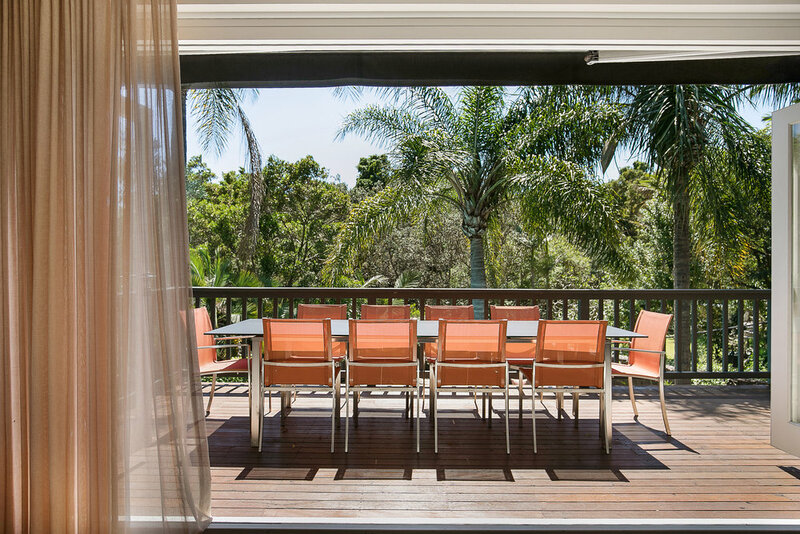 The contemporary kitchen is perfectly outfitted for luxury self-catering breaks, while a choice of casual and formal dining areas allow you to entertain and dine wherever your mood or the occasion dictates. 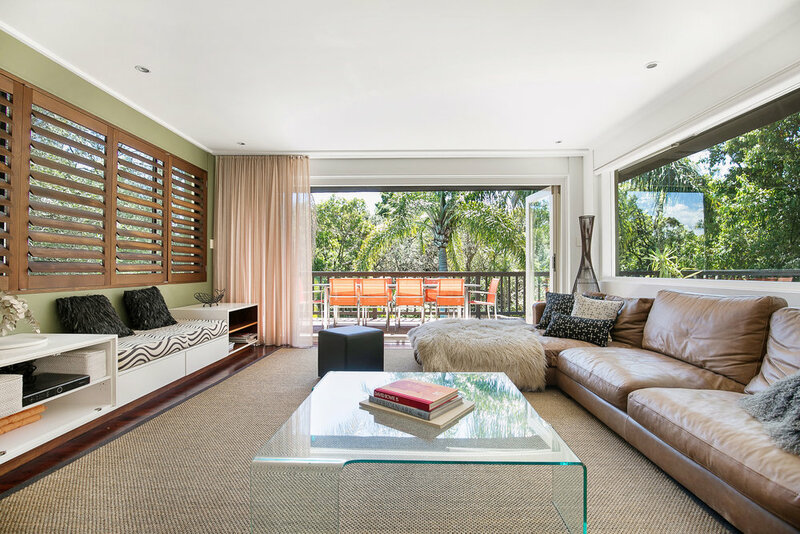 A light-filled living area provides an alternative space for you to sink into comfortable sofas by the gas fire, or step out onto the elevated deck that is given a natural veil of privacy from the lush greenness of the surrounding vegetation. Parsley Bay is one of Sydney’s hidden wonders, popular with swimmers, snorkelers, picnickers and walkers. Cross the lane and head down to Parsley Bay for your morning swim, stopping in at the Parsley Bay Café kiosk for a coffee. Or grab one of the three kayaks on offer at the property, and treat yourself to a visual tour of the many bays and beaches in the area. 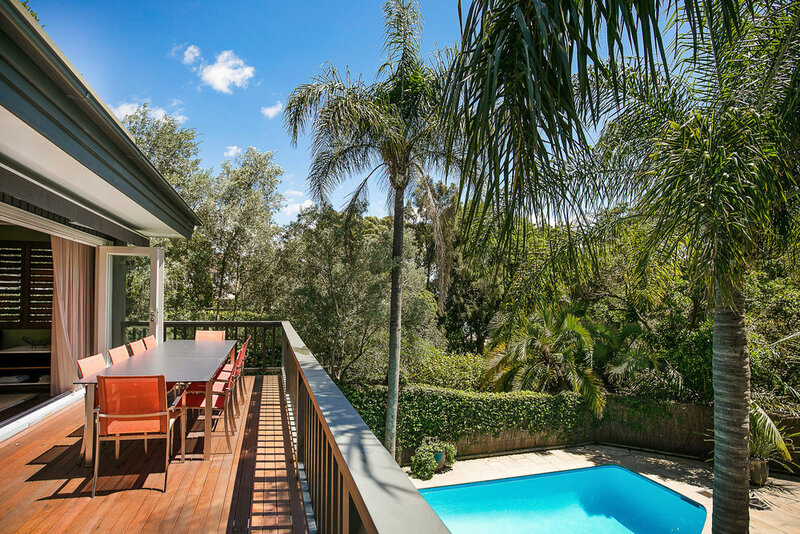 Parsley Bay House’s idyllic position comes with a wealth of beautiful walking routes accessible straight from the doorstep, including the famous Rose Bay and Watsons Bay walk, and the Heritage Foreshore Track, which takes in fabulous views of the city. If you feel like heading further afield, it’s only a 10-minute drive to Bondi, or a quick bus ride into the city.